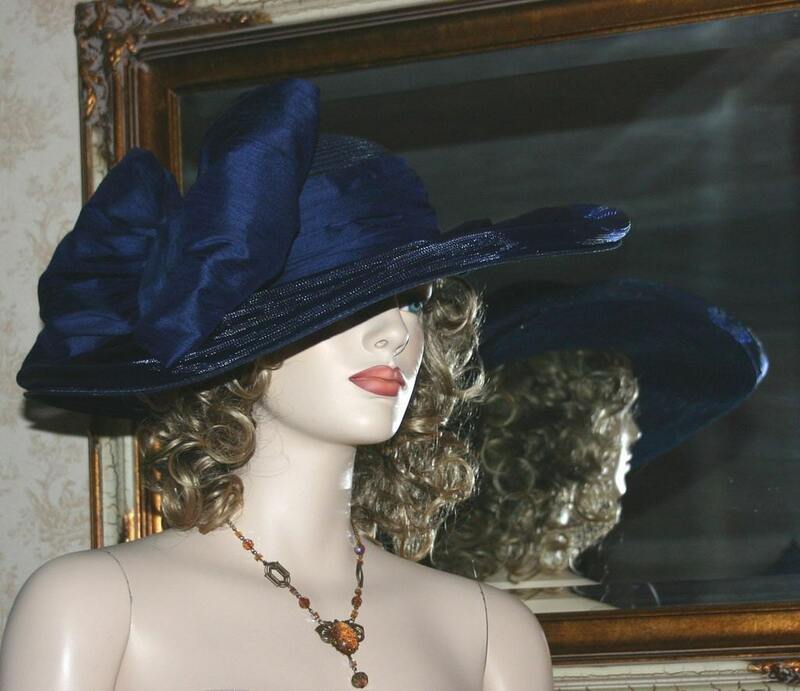 Edwardian Hat "Titanic" is perfect for Kentucky Derby designed over a navy blue designer horsehair hat base that measures 20+ inches in diameter. 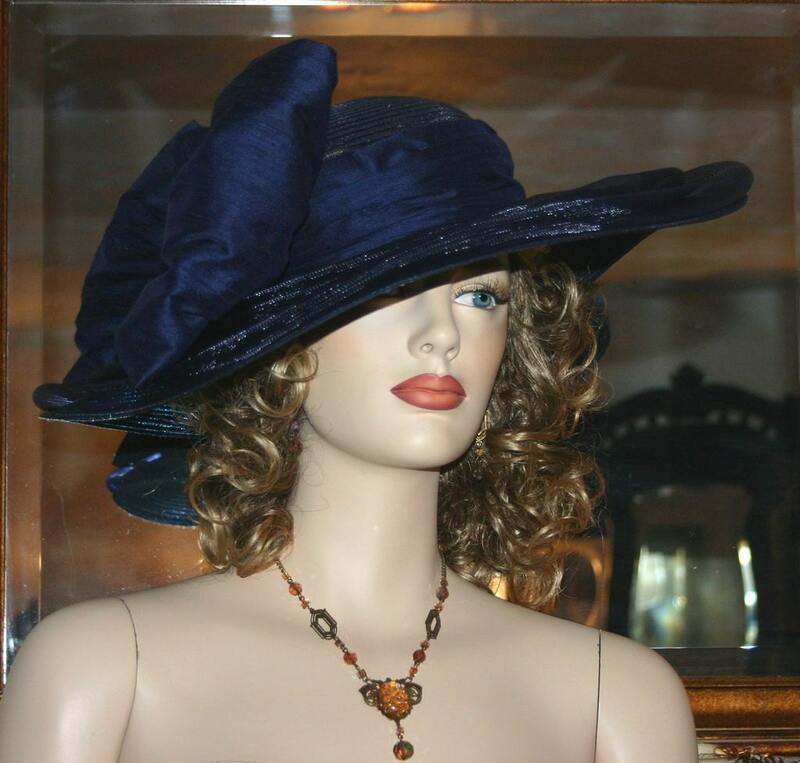 The hat band and bow are navy blue dupioni silk. 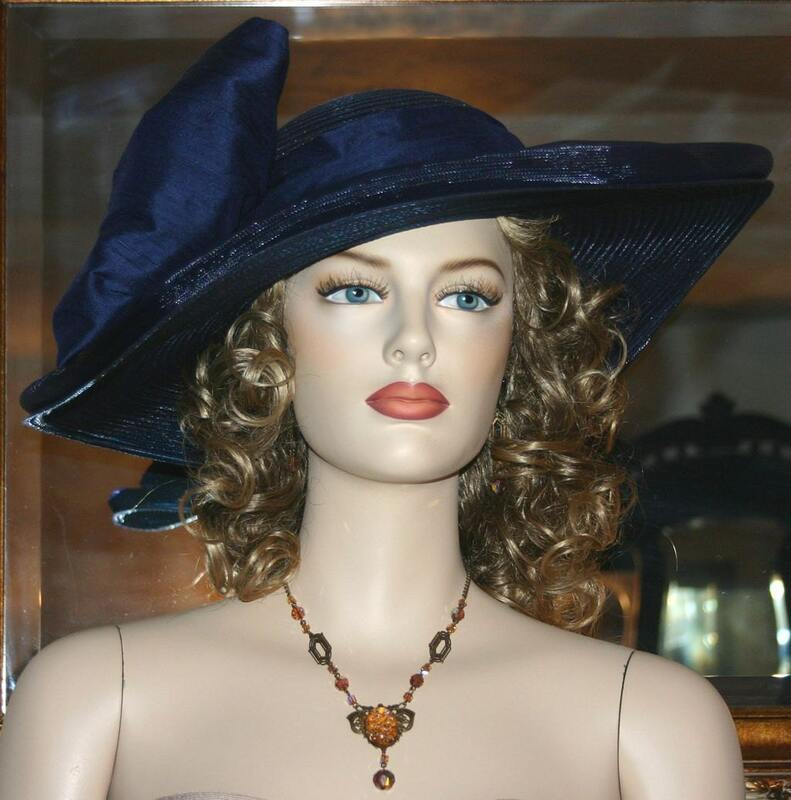 Perfect for church, tea party, Titanic event or anyplace that you'd like to wear it! 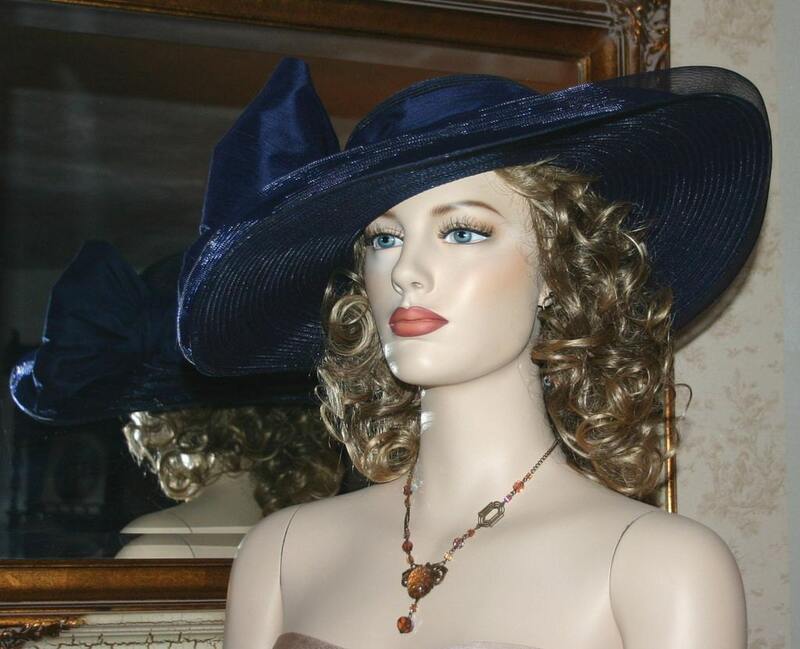 This hat size measures 22.5 inches and has a built-in hat size reducer so it can be made smaller for a perfect fit. Please see instructions below: How to measure your head. Such a gorgeous hat!!! Love it!!! The seller is so awesome as well! She really makes you happy! When I am in the market of another hat, I am positively coming back here! Thanks so much!!! Beautiful hat. Looked amazing at Atlanta Steeplechase. Actually very comfortable and light weight as well which was a pleasant surprise. Shop owner was very accommodating with my last minute rush order. Excellent service.